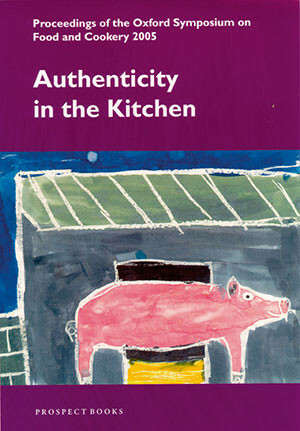 The Oxford Symposium on Food on Cookery continues to be the premier English conference on this topic, gathering academics, professional writers and amateurs from Britain, the USA, Australia and many other countries to discuss contributions on a single agreed topic.Forty seven papers are contributed by authors from Britain and abroad including the food writers Caroline Conran, Fuchsia Dunlop, William Rubel and Colleen Taylor Sen; food historians and academics including Ursula Heinzelmann, Sharon Hudgins, Bruce Kraig, Valery Mars, Charles Perry and Susan Weingarten. The subjects range extremely widely from the food of medieval English and Spanish jews; wild boar in Europe; the identity of liquamen and other Roman sauces; the production of vinegar in the Philippines; the nature of Indian restaurant food; and food in 19th century Amsterdam. Readership: Academic and cookery enthusiasts. Is it the Real Thing? Lidwina of Schiedam, Chocolate Eclairs, and GM Cornbread James G. Ferguson, Jr.